My professional background is in the Archived section about Staropoli Consulting, Inc.
My personal life is rich and full. I’m married to the same woman, Sue, since 1966. We have six children and 11 grandchildren, most of whom live in the Rochester NY area, within 10 minutes of us! Any given day, I might be attending a concert, a game, a recital, an exhibition, an impromptu backyard firepit, etc. Or two of those. Or more. I am glad to be on-call for renovations and repairs at our kids’ homes. Much of my energy is now devoted to bridging the racial divide is my home city and in our country. I’ve given workshops on bias, prejudice and race. 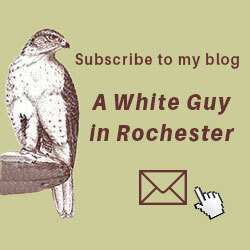 I’ve also begun the bi-weekly blog “A White Guy in Rochester”. I have not convinced myself yet to enjoy exercise, but I really enjoy cycling, senior-league softball and golf.